The Full Council Meeting on the 27th Sept 2017 covered item 10 on the agenda, Recruitment of Director of Environment and Highways. Upon further reading of the item it has become apparent that Highways England will part fund this new position. Does this sound like a good idea? Highways England to part fund Council’s Director of Environment & Highways. “The Lower Thames Crossing is the Council’s top cross-party priority and with the agreement to have a task force to allow the flexibility to react to announcements whilst planning for future, supporting this is going to need additional capacity for many years to come. Thurrock has possibly the largest and most ambitious growth programme in the country. £6bn is being invested by the private sector in Thurrock. We have seen 7,000 new jobs created and 1,170 new businesses in the borough in recent years, in particular in ports and logistics, retail and creative industries. We anticipate the creation of a further 20,000 new jobs in the next 20 years and up to 30,000 new homes. Growth sits hand in hand with enhancing the place of Thurrock as a location to live and work. Create a new Director for Environment & Highways to bring together the operational elements of existing service areas to deliver a more cohesive and comprehensive service for residents. This post will report directly to the Chief Executive Officer. Delete the roles of Assistant Director, Environment and Assistant Director, Transportation & Highways. Create a new Assistant Director, Place Delivery to put in place the expertise and resources necessary to achieve the delivery programme including master plans for Grays, Tilbury and Purfleet and to ensure the Council delivers a new home building programme to help meet the needs of residents. This post will report directly to the Corporate Director, Place. Create a new Assistant Director, LTC to lead the Council’s programme management of the high profile Lower Thames Crossing in Thurrock. This will ensure the new crossing and road supports Thurrock’s place making and growth priorities. This post will report directly to the Corporate Director, Place. The restructuring proposals are cost neutral as the new Assistant Director roles will be met from capital scheme budgets and Highways England contributions. The balance of revenue funding from the two existing Assistant Directors roles will be utilised in the sub structure for the new Directorate. The proposal, which was ultimately passed at the meeting faced some mixed opinions. Cabinet Member for Regeneration Councillor Mark Coxshall said he feels the most important thing for the Borough is more housing. 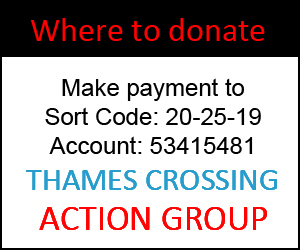 Councillor Jack Duffin said he questioned at the last meeting whether the Council were going to fight the crossing or just help build it, and now expressed concern that this position was being created and would help facilitate building of the Lower Thames Crossing. Councillor James Halden said the Council are not the decision makers to the Lower Thames Crossing, and that they will oppose what they think are poor ideas. He feels it is important that the new generation 3 new schools, housing, and 4 new medical centers need to be best placed in the Borough dependent on where the crossing goes. Councillor Barbara Rice reiterated in response to Councillor Halden’s speech that she was the only Council member in the Task Force Meeting to remind Highways England that Thurrock Council oppose any crossing in Thurrock, and that the Council were united on this, unless her colleagues on the right had changed their mind? Councillor Terry Piccolo said he felt this was what the public had asked for in the July meeting, that the post will ensure the Council can have someone fight their corner and at least be involved in what the residents are asking for. Councilor Leader Robert Gledhill agreed with Councillor Piccolo, and confirmed the role would be there to work for Thurrock, not to build or facilitate the Thames Crossing, but to ensure that everything the Council does is coordinated and based on facts. He finished his speech by saying that the Council is opposed to the Lower Thames Crossing. 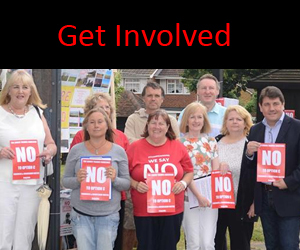 Do we need up to 30,000 new houses in the Borough? Where will these houses be built? Will Greenbelt Land be used? Is there a link between the Lower Thames Crossing Route C3 freeing up Greenbelt land to be built upon? 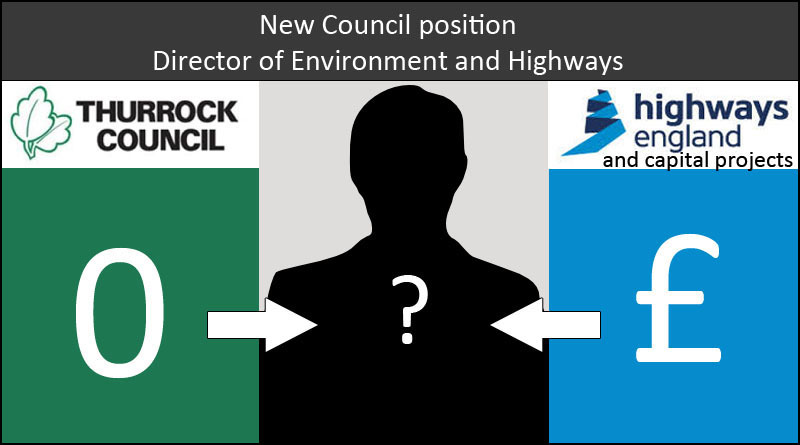 Is it right for Highways England to part fund Council’s Director of Environment & Highways role, a position that is supposed to keep the interests of the people of Thurrock at the forefront? Listen to discussion of Recruitment of Director of Environment and Highways at Full Council Meeting 27 Sept 2017.